Exclusive Toy Story 3 Poster! 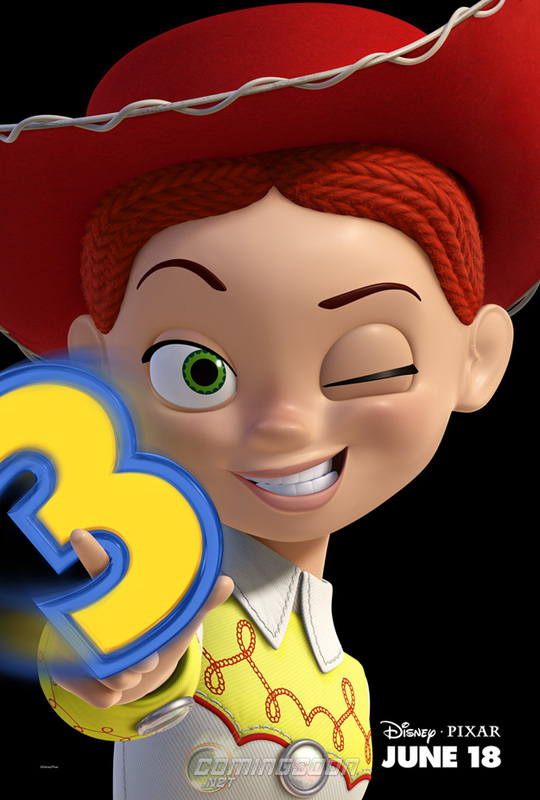 ComingSoon.net has your exclusive first look at a new teaser poster for DisneyPixar’s Toy Story 3 featuring Jessie! You can check it out bigger by clicking on the poster below, and be sure to stay tuned on Monday morning for the new trailer. Opening June 18, 2010, the highly-anticipated sequel features the voices of Tom Hanks, Tim Allen, Joan Cusack, Don Rickles, Wallace Shawn, John Ratzenberger, Estelle Harris, John Morris, Laurie Metcalf, R. Lee Ermey, Jodi Benson, Ned Beatty, Michael Keaton, Timothy Dalton, Jeff Garlin, Bonnie Hunt and Whoopi Goldberg. Lee Unkrich is directing from a script by Michael Arndt.